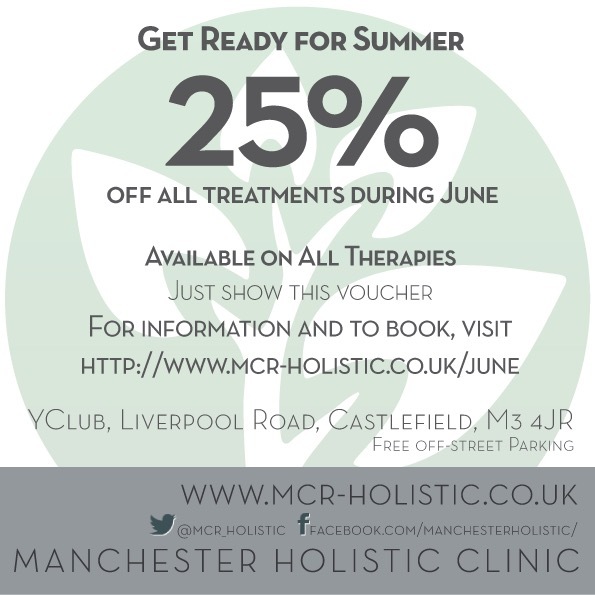 I’m delighted to announce the opening of Manchester Holistic Clinic at The Y Club, Castlefield, Manchester. I’ll be offering reflexology and Indian Head massage alongside other highly experienced therapists. Check out www.mcr-holistic.co.uk for further information.